Want to take the guesswork out of meditation? Get real-time feedback about your busy mind. As shown in the images in the article Could You Pass the 3 Minute Test? Muse, by Interaxon enables you to take the guesswork out of meditation with real-time feedback from Muse: the brain sensing headband. What's holding you back from enhancing your practice? NeuroYoga.Zone ™ also offers a Meditation coaching program to compliment your use of the Muse: The Brain Sensing Headband. If you choose, we can monitor your Muse practice sessions and progress and coach you to success with your meditation practice. Contact us for details. 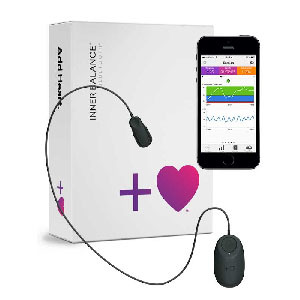 Want to take the guesswork out monitoring your breath or activity? Get real-time feedback about your breath rate and activity. Our breath is a barometer of we are feeling at any given moment. It is the only autonomic process that we have control of; and it is a major tool for calming the mind and relaxing the body. Most of us are not aware when our breath rate changes indicating we are no longer calm or that we are in an anxious state. That's were Spire can assist. Why not track your breath and take action to track your breath. Spire is the world's only breath and activity tracker proven to decrease stress. Spire.io - Buy Now & Receive FREE Shipping! Spire.io - Save 8% When You Buy For The Whole Family! Your Heart Rate Variability is a window into your emotional wellbeing and state or balance. 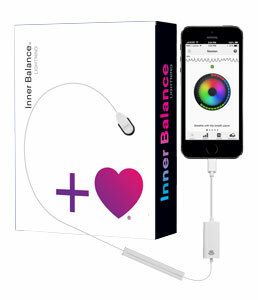 The Inner Balance™ sensor for Android and iPhone trains you to shift and replace emotional stress with emotional balance and coherence. For more than 25 years, HeartMath has made significant contributions to both the scientific and practical understanding of the physiology of stress, heart-brain interactions and performance. This research has led to a deeper awareness of how emotions impact every aspect of our lives, affecting everything from the quality of our health and well-being to our relationships and the decisions we make each day. We are a huge fan. Tai also shares a vast number of books and wisdom he has scraped from them throughout the program. As well as wisdom and knowledge from his amazing mentors; which include Charlie Munger, Joel Salatin, and many more. Tai Lopez is an investor, partner, or advisor to over 20 multi-million dollar businesses. Through his programs, book club and podcasts Tai shares advice on how to achieve health, wealth, love, and happiness with millions of people worldwide. How did you grow your self worth last year? How did you invest in your self? Ask yourself "What have I left on the table by not putting my health, wealth, love, and happiness first?" Why not take the 67 Steps toward greater a better life and prosperity? Sign up for the 67 Steps to Finding the Good Life. You don't have to want to persue a coaching career to benefit from learning how to coach others. It's a great way to become a better manager, or lead others. Learn more about the CTA programs or Sign up for a Free Certified Coach Program Workshop! Are you a Yoga Teacher and want to enhance your skills, or bring in additional income, become a certified "Yoga2Life"(tm) coach. Leverage your current teach skills and yoga knowledge to guide others how to integrate "Yoga2Life" and reach their full potential.